KYF2 is two great award-winning shows in one: Kentucky Farms, Kentucky Flavor! Joanna Coles (Extension Agent for Agriculture) and Kristin Hildabrand (Extension Agent for Horticulture) serve Warren County through the UK Cooperative Extension Service. Joanna is the County Extension Agent for Agriculture and Natural Resources with the UK Cooperative Extension Service since January 1999. In her position, she brings farmers up to date on researched based information to help them increase profitability, manage risk and identify and diagnose problem areas on their farm. She has been nationally recognized for her work in agriculture awareness by the National Association of Agriculture Agents. A big part of her ag awareness work is through media, keeping farmers up to date on hot topics, helping consumers understand more about their food and the farmers who grow it. 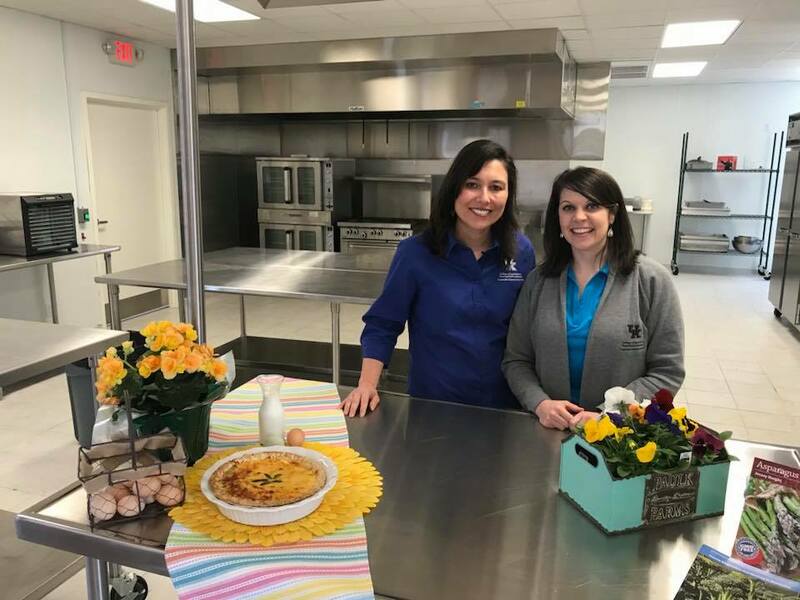 In addition to the Kentucky Farms, Kentucky Flavor project, she hosts the Ag Connections Show on WKCT 104.1 FM, which airs live on Tuesdays at 8:30 a.m. She hosts the Farm & Home show on WBKO 13 TV at approximately 5:20 am Mondays thru Fridays. You can also catch her Country Cottage segments daily on the Local Cable Channel 195 airing at 6:30 a.m., 1:00 p.m., 7:00 p.m. and 9:30 p.m. where she presents topics related to farms, food, family and fun to improve your life! Joanna graduated from the University of Kentucky with a Bachelor’s degree in Animal Science. She received her Master’s degree in Agriculture from Western Kentucky University. When she is not working; you can find Joanna spending time with her family at the farm, managing “Jenna’s Kitchen” and “The Coles Life” on social media platforms or attending Hillvue Heights Church. Joanna resides in Auburn, Kentucky. Kristin grew up in Columbia, Kentucky where she got her love for gardening from her mom who grew a small vegetable garden at home. She went on to attend Western Kentucky University where she earned a Bachelor of Science degree in Agriculture with a concentration in Horticulture in 2008 and a masters degree in Agriculture in 2013. Currently, she serves as the horticulture extension agent for Warren County. She also writes the central regional report for the Kentucky Gardener magazine. KYF2 is produced by Joanna and Kristin along with Brandon Miles, a television and marketing specialist for WBKO Television. Brought to you by the University of Kentucky College of Agriculture, Food and Environment along with the Warren County Agriculture Foundation, Kentucky Proud, and the SOKY Marketplace in downtown Bowling Green, KY.